A Deoxyribonuclease (DNase) test is performed to find out the organism’s ability to hydrolyze DNA and use it as a carbon source, which will in turn use as energy for the organism to grow. A DNase agar medium, pale green in color which is primarily used as a differential medium. It has the nutrients needed by the bacteria to grow. 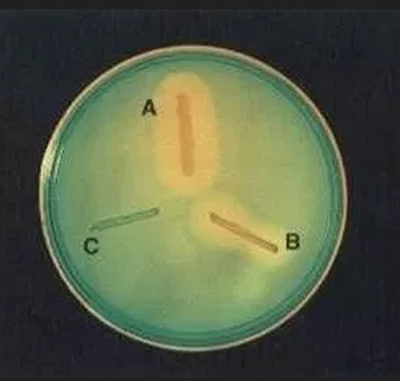 Image 1: A DNA hydrolysis test; quadrant A and B test positive while quadrant C tests negative. What are the uses of DNase Test? It is performed to find out the organism’s ability to hydrolyze deoxyribonucleic acid. It aids in differentiating Staphylococcus aureus, which has the ability to produce Deoxyribonuclease enzyme from other Staphylococci that do not have the ability to produce DNase. It can be used in performing a coagulase test, especially when plasma is not available. It is also a more reliable test than the coagulase test as there are times when the result of the coagulase test is difficult to interpret. Hydrochloric acid but it is only used when the media does not have an indicator. How does a Deoxyribonuclease (DNase) Test perform? 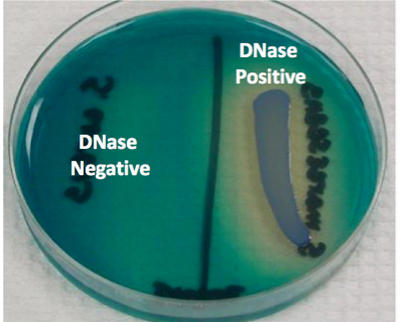 Image 3: The left side of the plate tests negative while the right side tests positive to DNase test. Spot Inoculation – using a loop, a colony of the organism is touched and inoculate onto a small area of the plate. It is usually placed at the center of one of the sections of the plate. After incubation, you will notice a growth of thick plaque which is about 10 mm in diameter. Incubate the plate for at least 24 hours at a 37 degree Celsius. Band/line streak inoculation – Draw a line using an ample amount of inoculum, which is about 4 cm long. Begin at the rim going to the center of the agar plate. Incubate for at least 24 hours at a temperature of 37 degree Celsius. Some strains of MRSA do not test positive to DNase. Some Staphylococci that test negative to coagulase test may result in weak reactions to DNase Test. If you are using a medium that does not contain an indicator, you need to add 1N HCl and the result should be interpreted within five minutes after the application. Interpreting the result after five minutes may alter the result. 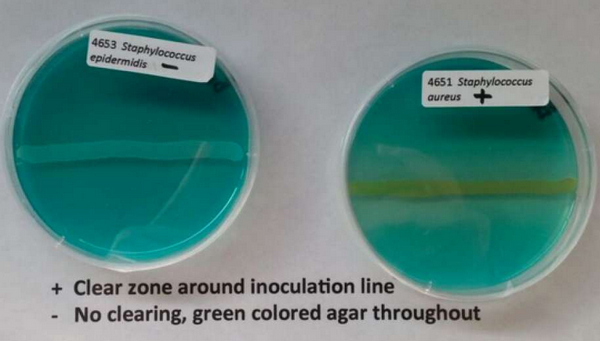 If you are testing gram-negative rods, it is best to use a methyl green medium.